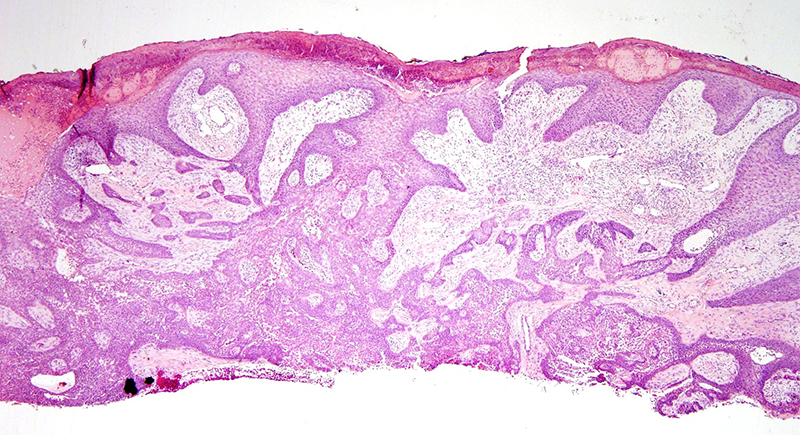 There is a background lesion compatible with an eccrine poroma. 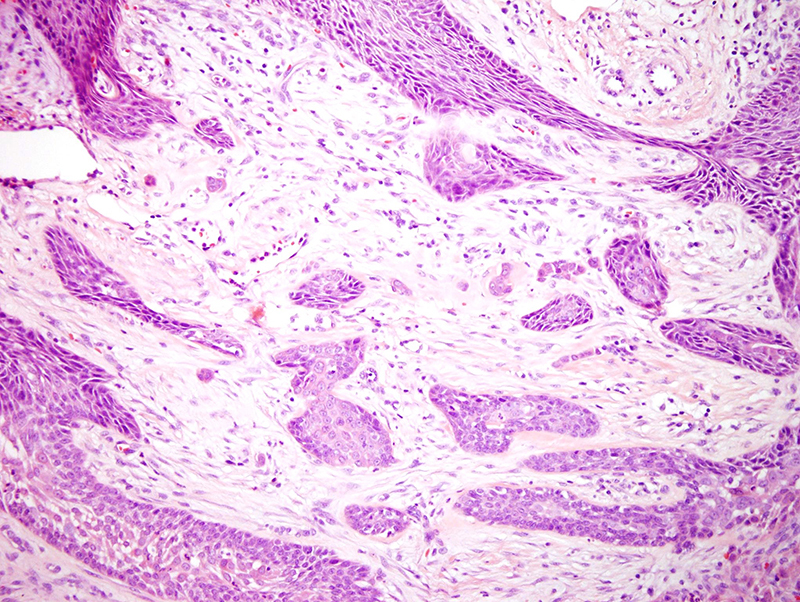 However, there is supervening high grade epithelial cell atypia and as well the lesion exhibits an irregular growth pattern within the corium. 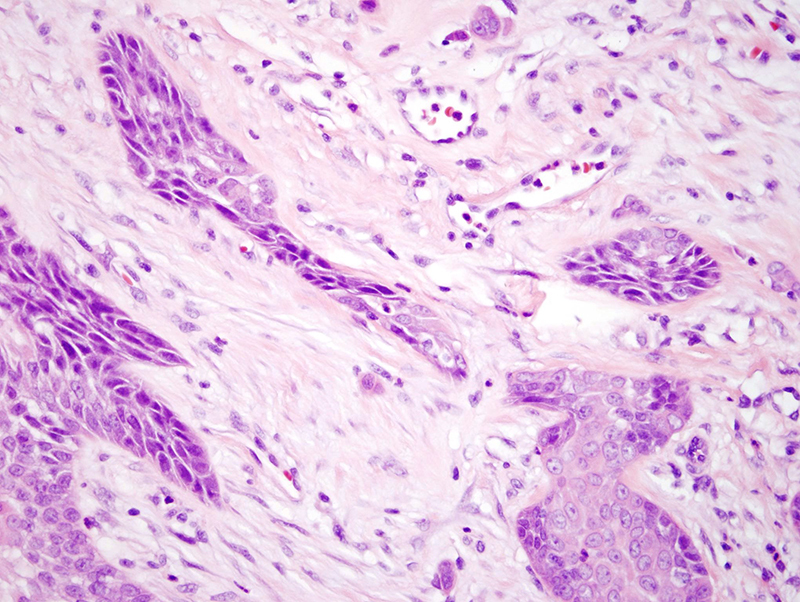 In regards to the latter individual cells and small nests of severely atypical cells assuming an infiltrative growth pattern amidst a hypervascular stroma. 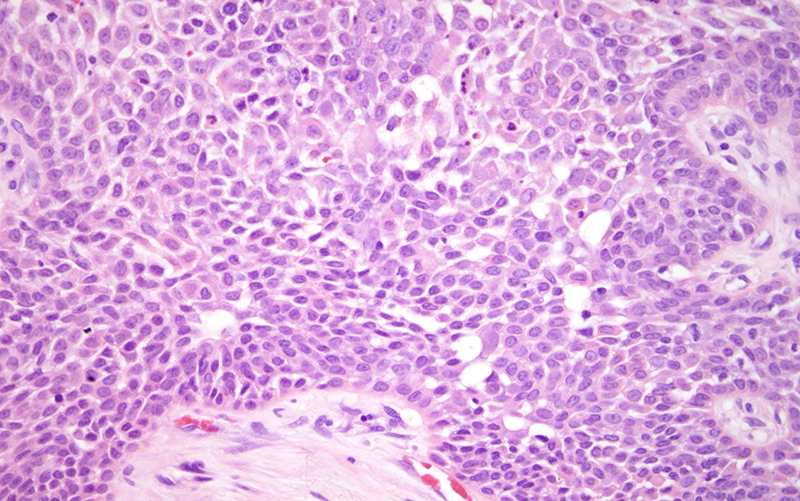 The lesion is best treated and categorized as an excellent prognosis well differentiated porocarcinoma. Murilo de Almeida Luz et al. 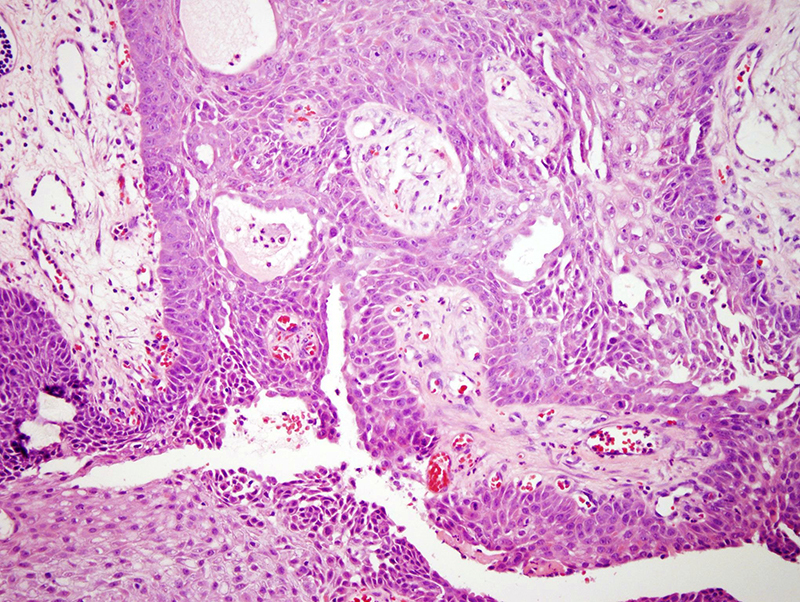 Eccrine Porocarcinoma (Malignant Eccrine Poroma): A Series of Eight Challenging Cases. Clinics (Sao Paulo). 2010 Jul; 65(7): 739-742.